Michael Frolik easily recalls the day hockey legend and hometown hero Jaromir Jagr came to his team’s hockey practice in Kladno, Czech Republic. And if Frolik ever needs a reminder of what that moment met to him, he has a few photographs of the encounter he can quickly find on his phone. Frolik’s dream came true when he was drafted 10th overall by the Florida Panthers in 2006. In his first NHL season, 2008-09, after two campaigns with Rimouski of the Quebec Major Junior Hockey League, he netted 21 goals and 45 points. His biggest career highlight to date is a Stanley Cup win in 2013 as a member of the Chicago Blackhawks. 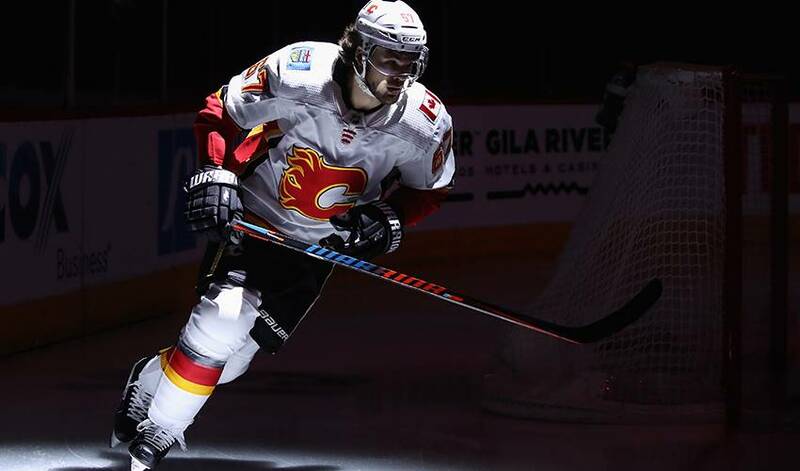 Another memorable moment came when he played alongside his childhood idol with the Calgary Flames. Jagr, who has the second most points in league history, played his final NHL season with the Flames in 2017-18. Now 31 and closing in on 800 NHL games, Frolik hasn’t forgotten any of the work ethic lessons he picked up from one of hockey’s all-time greats. He also shared some recent advice he received from another NHL standout, Jarome Iginla, who had his sweater retired at the Saddledome on March 2. Which is why, in many ways, it doesn’t feel so long ago when Frolik met his hockey idol.